For millions of Thanksgiving weekend travelers, getting home is an adventure, but not an exciting one. 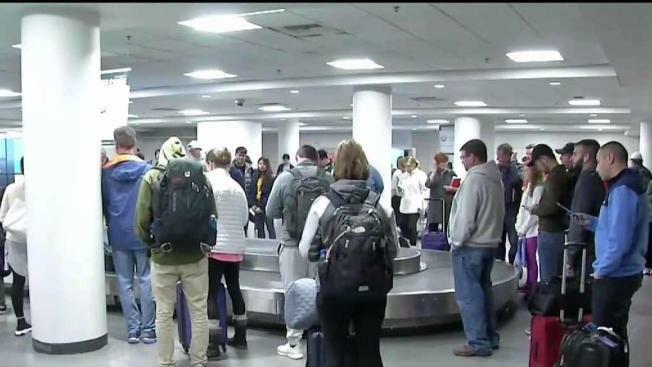 Sunday marked the busiest travel day of 2018 as travelers made their way home on area roadways and through Boston Logan International Airport. "Baggage claim was busy, ticketing was busy," said Joe Reed. "It's worse, it's definitely getting worse," said Dipti Sheth. Area roadways, airport will see millions of travelers. AAA says 1.5 million people navigated through the Boston airport on Sunday alone, meaning big crowds inside and outside of Logan Airport. There were a handful of canceled and delayed flights, as well. "When we got off, it was pretty jam-packed," Sheth said. Sheth flew to Nashville for the weekend with her kids, which is where their long day started. "The traffic was just building up, and we had a pre-TSA, so we were lucky," she said. Nationwide, 54 million people made their way home either on planes or backed up roads, making this year the busiest Thanksgiving travel weekend in more than a decade. "They've been busy, but organized," said Reed, who was rushing to his flight home to Las Vegas after a trip to Ireland. "Getting out there was much worse than coming home, and I was surprised." 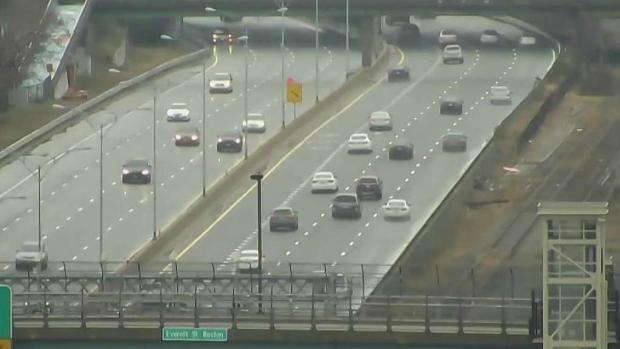 AAA says more than one million drivers used Massachusetts roads Sunday, and those commuters dealt with four times the typical traffic. Post-Thanksgiving travelers also grappled with heavy rains and winds through the morning, but there was some weather relief in the afternoon. Air travelers were hampered by weather in other areas of the country. More than 700 flights were canceled in Chicago due to a major winter storm that dumped heavy snow and strong winds from the Rockies to the Central Plains.